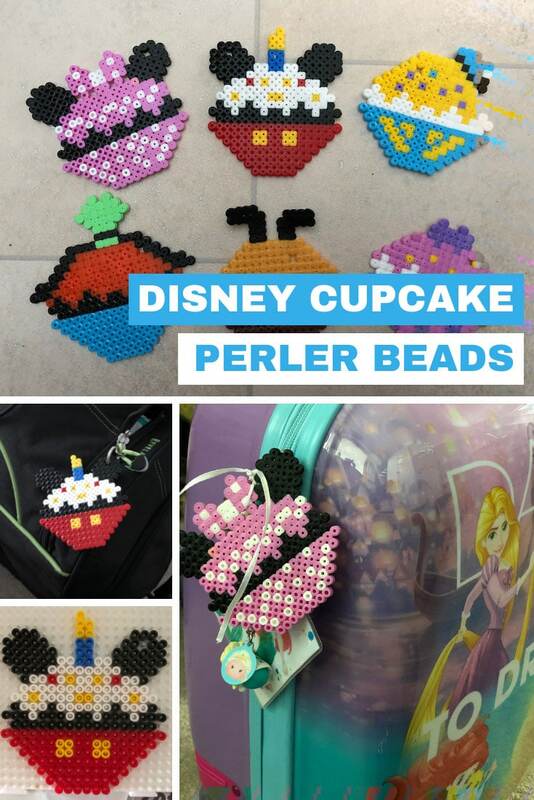 If you’re looking for Disney perler bead keychain ideas you have to give these adorable cupcake designs a try! 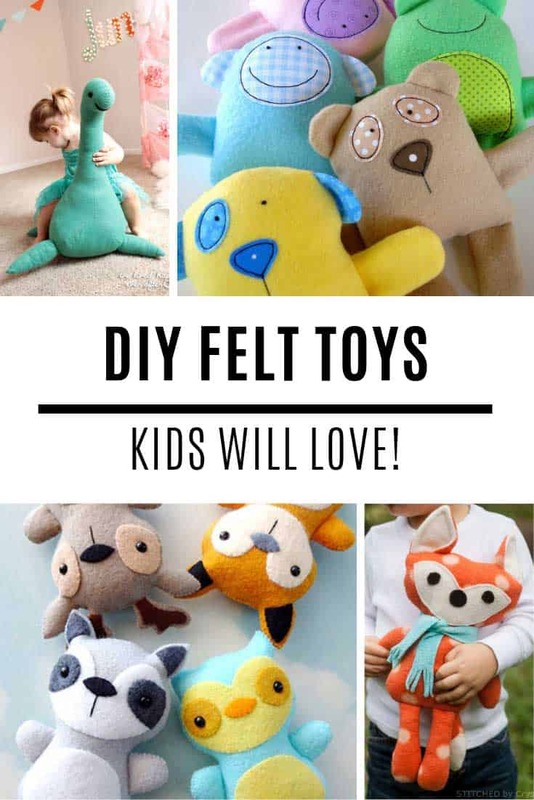 Super easy and fun! 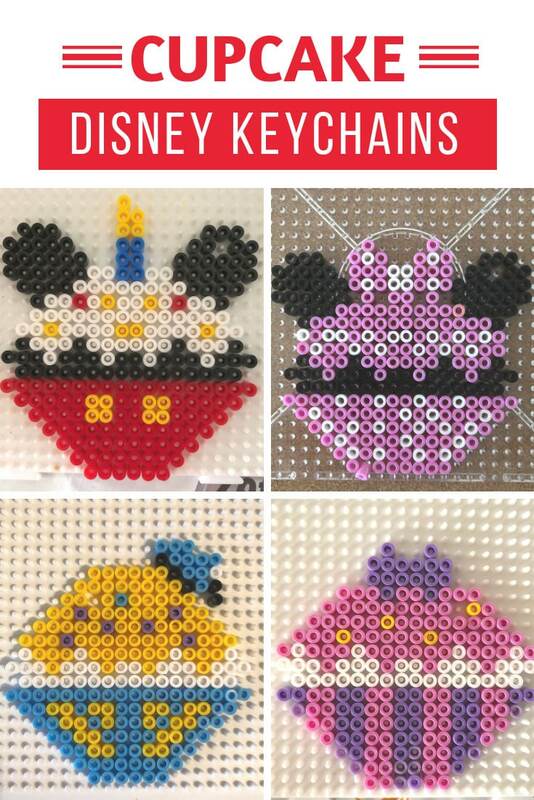 If you loved our collection of DIY keychain ideas and you’re a Disney fan you need to give this project a try, because my 5 year old daughter and I just created the most adorable set of Mickey Mouse and friends keychains! 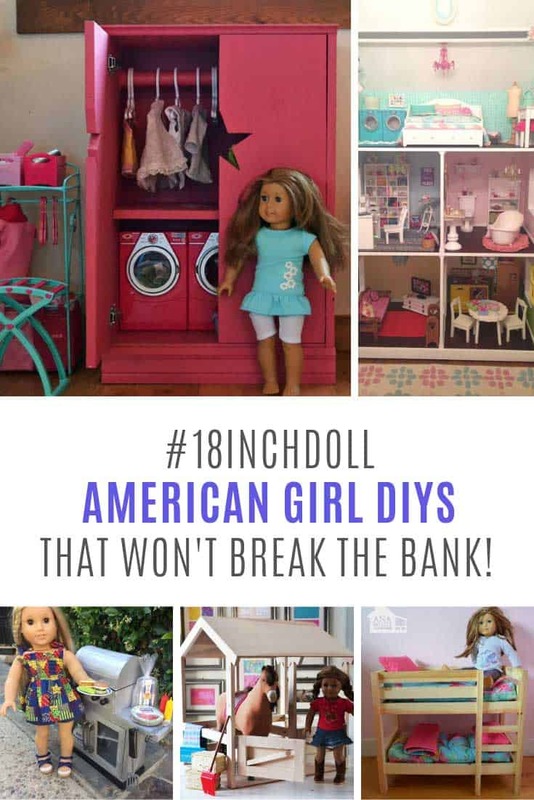 Now we can’t take credit for dreaming up the idea because we were inspired by this post over on Instagram. 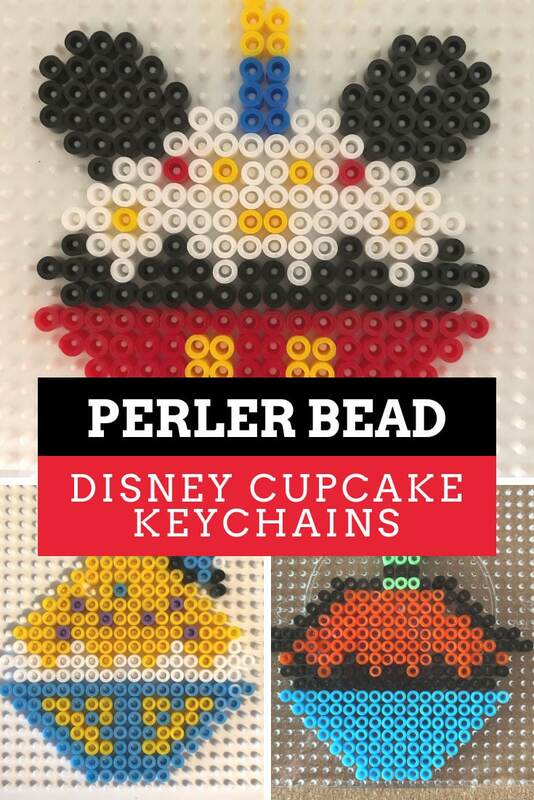 But we tweaked the designs to make them our own, and to work with the colors we have in our stash of perler bead supplies! 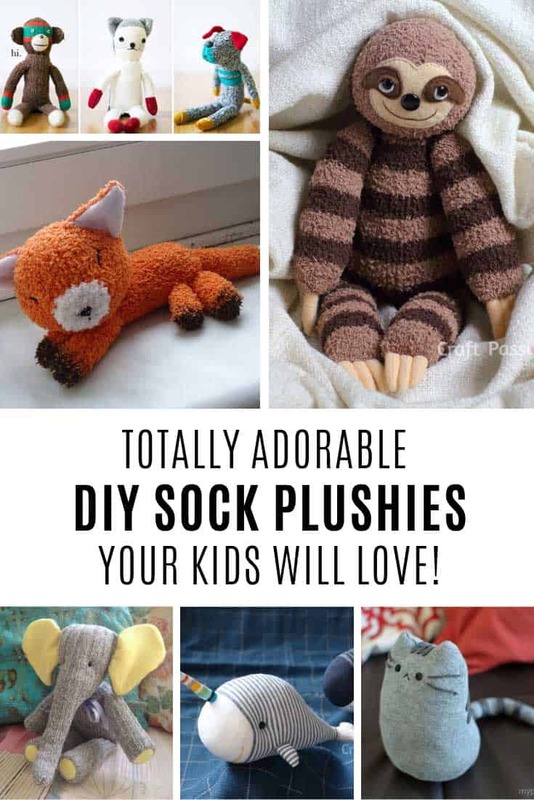 We don’t have an actual pattern for you to follow but if you take a look at the photos below you should find that they’re pretty easy to make. They’re actually all the same basic design (made on a square board) with different colours to suit the characters and their outfits. Oh and of course whether they have ears, hats, bows or a cute birthday candle on their heads! 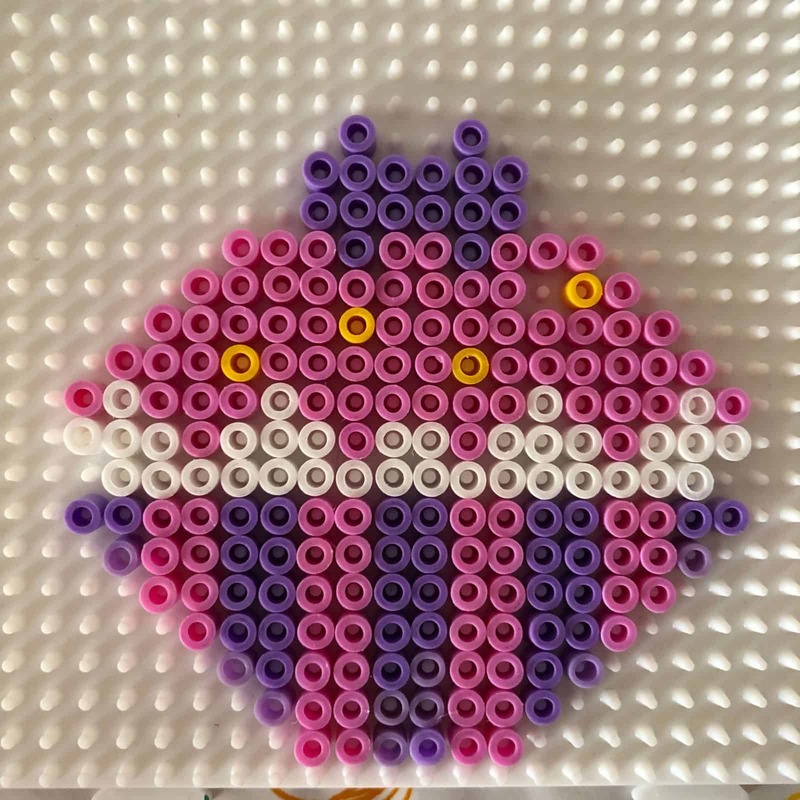 If you want to use them as keyrings, or just hang them up on display don’t forget to leave a hole by missing a bead out so you can attach a keychain ring. 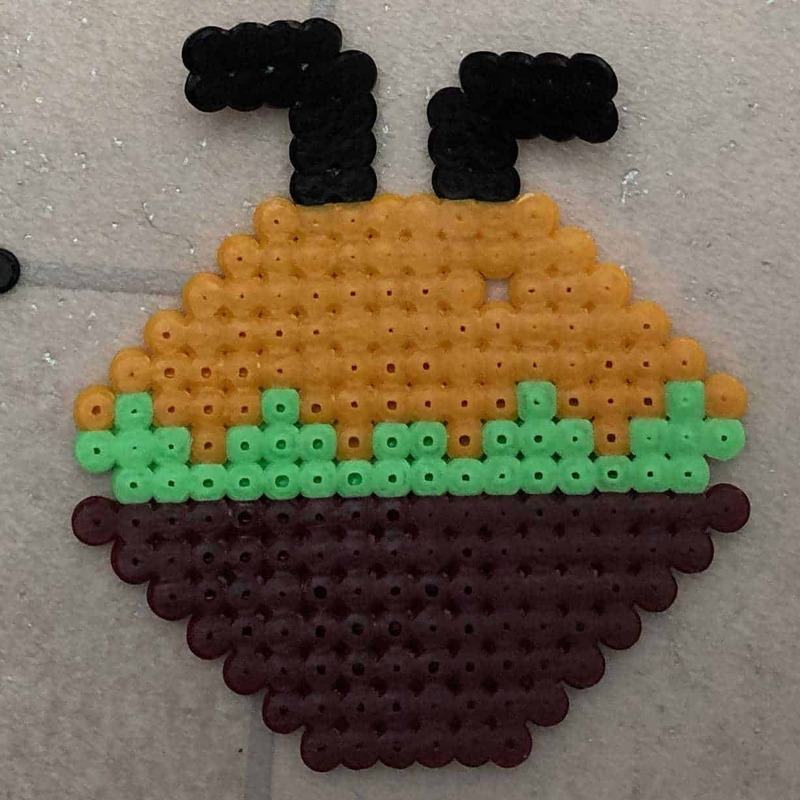 I made the Mickey Mouse cupcake first and he turned out real cute. 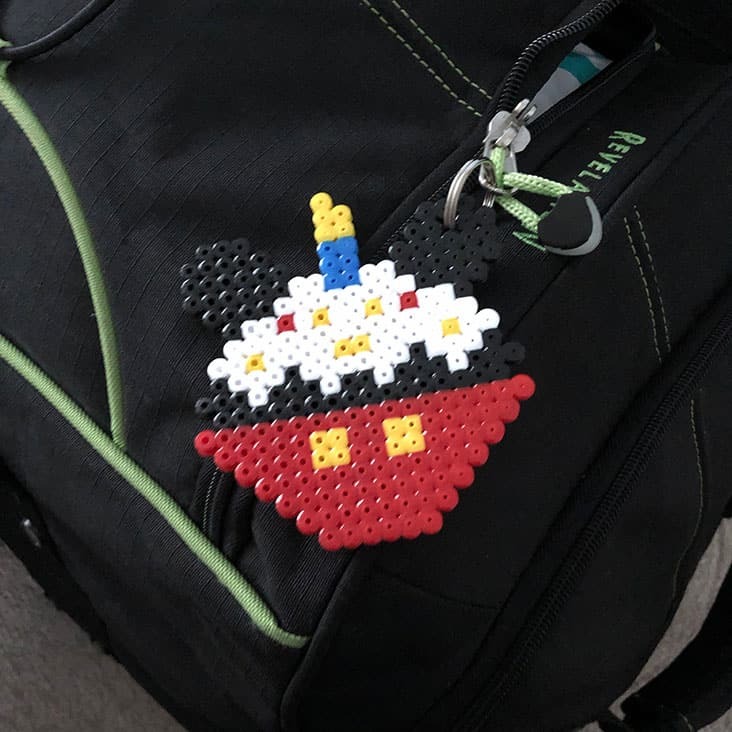 Since we’re flying out to Disney World on my birthday next week it seemed fitting to add the birthday candle! 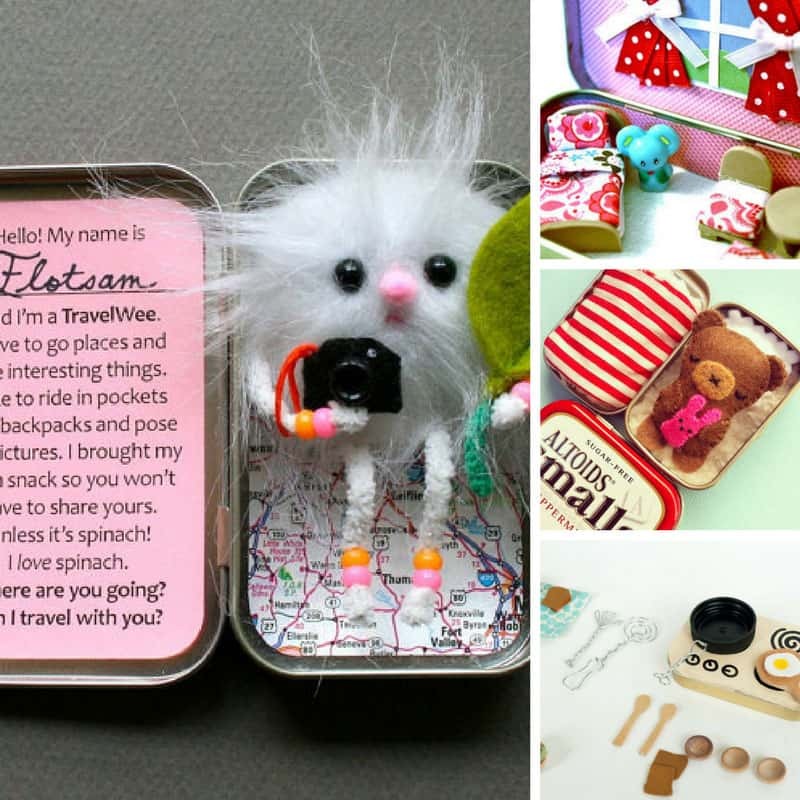 I decided to attach him to my luggage as a bag tag rather than use it as a keychain. It’s always good to embrace your inner Disney when you’re off to visit the Mouse right? 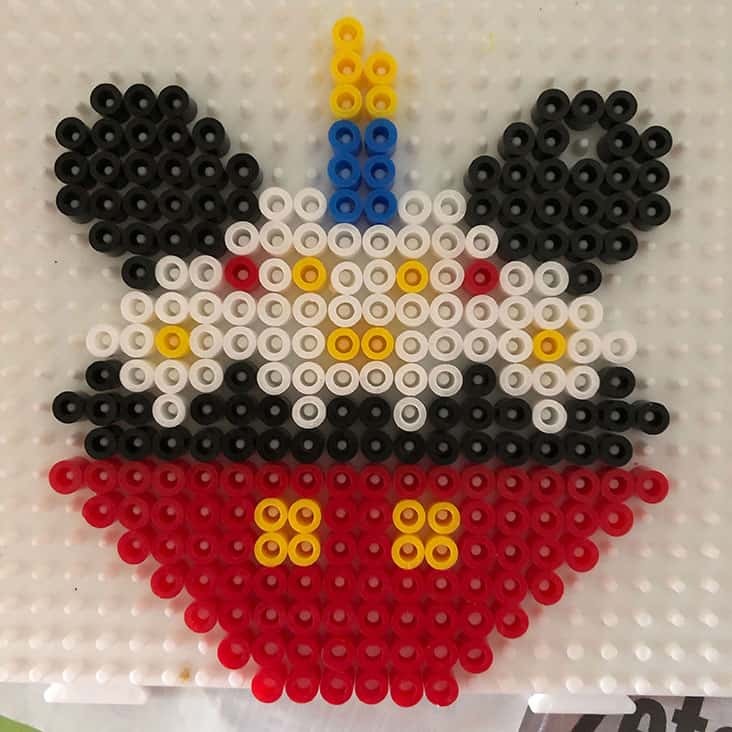 My daughter made this Minnie Mouse cupcake design. She copied the Mickey Mouse outline and went to town with her pink and white polka dots! 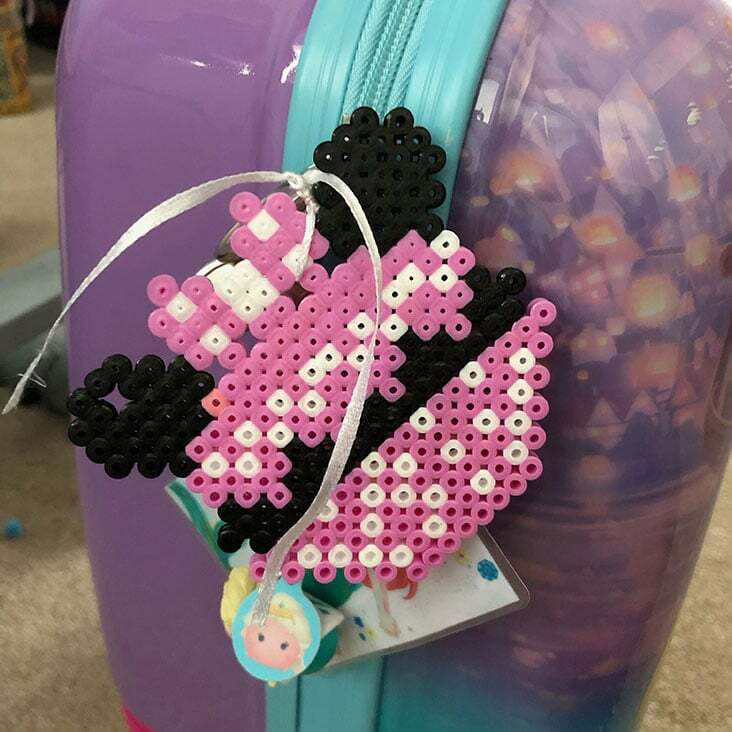 We attached this one to her Disney Princess luggage using a piece of ribbon as I managed to split the perler beads around the hole when I was trying to get the keyring through! 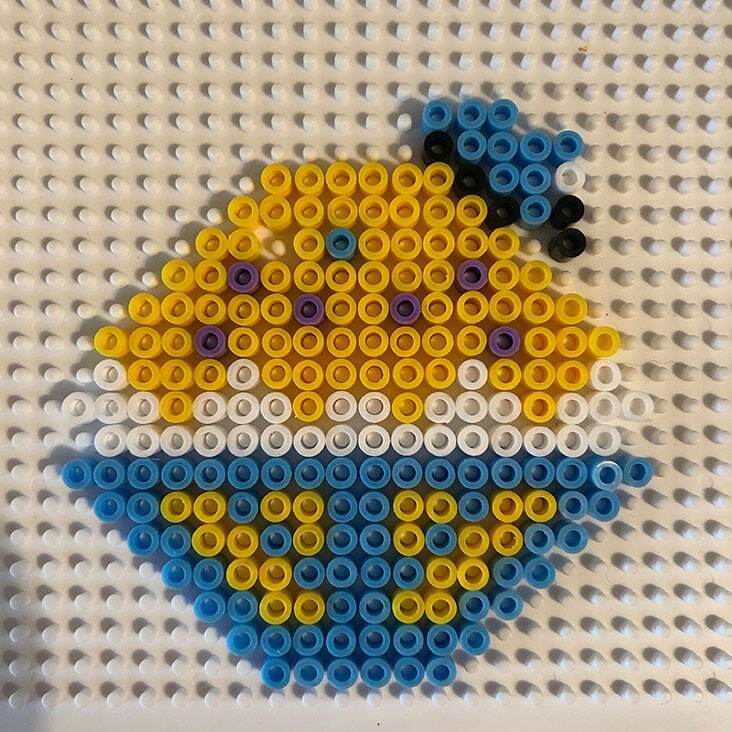 I think this Donald Duck design is my favourite of all of them! I love the colour combinations and he’s just so bright! And his cute hat might have something to do with it too! 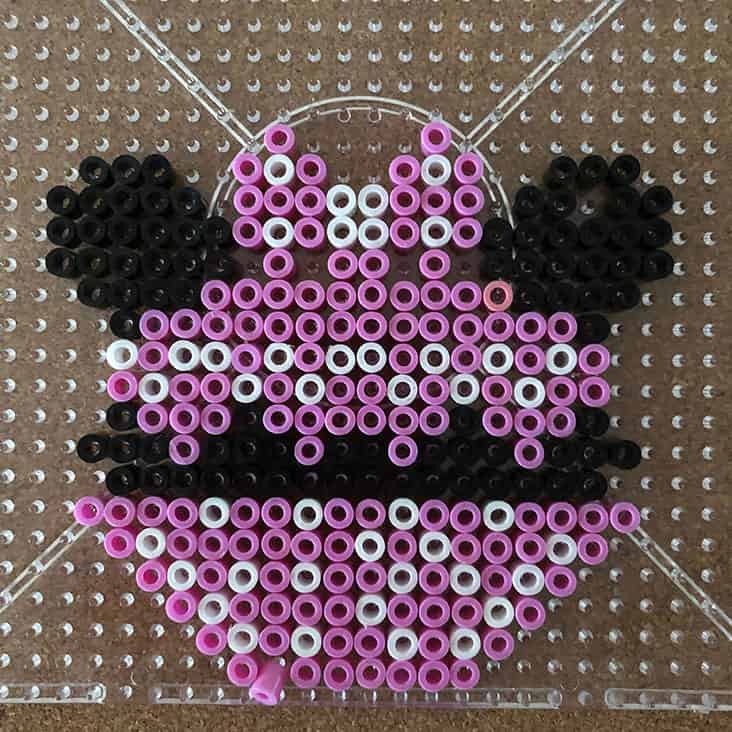 I’m not sure how I feel about this Daisy Duck, the colours dont’ seem quite right and I think if we’d have added some eyes instead of a bow she might actually have made a better Cheshire Cat! Here’s Goofy, I think if I was going to do him again I’d make his ears a bit thicker, and maybe put his hat off to the side like Donald’s. Alas we don’t have an un-ironed picture of Pluto because my mum whisked him away to iron him before I got the chance! 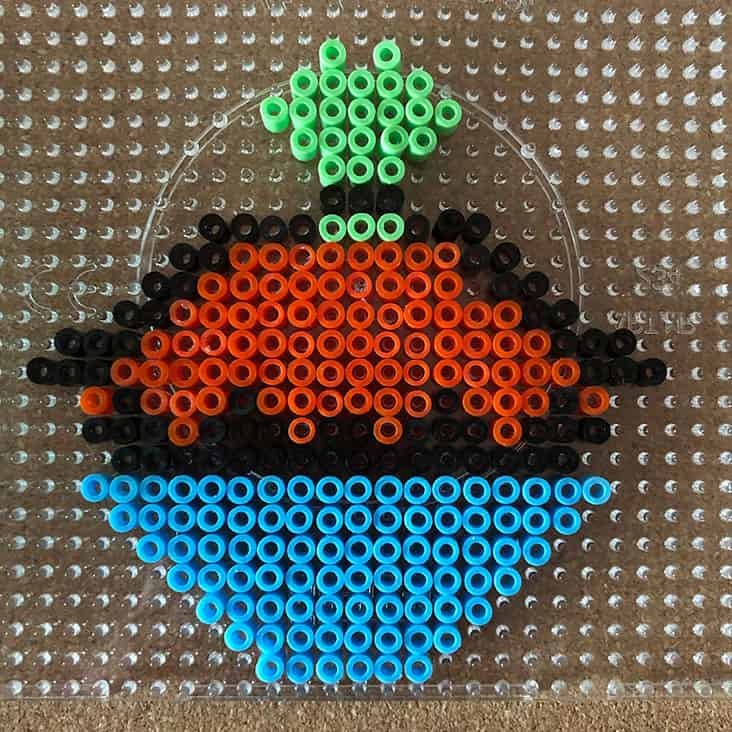 As I say he follows the same design as the others though so hopefully you can copy him from the ironed design. I love his jaunty ears but I wonder if you turn him upside down he looks a little like a hamburger with legs… ha!